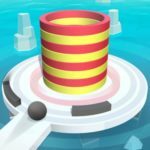 Circle Pool is a unique pool-themed game created by French developer Voodoo, a company that’s responsible for other highly addictive games such as Paper.io 2, Pick The Gold and Tornado.io to name a few. The game deviates from the typical rectangular pool table to create a more interesting game mechanic. What’s even more surprising than the circular table is that there are no holes! Players are instead encouraged to hit as hard as they can in order to make all the balls explode. Clearing all the balls in a table will allow you to advance to the next level. Each new level will be more difficult than the last. As you progress, you will encounter more obstacles. You will either need to use these obstacles to your advantage or find a way to maneuver around them while still hitting your targets. There are over a hundred levels for you to complete. 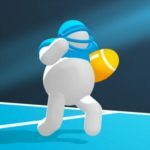 If you find yourself stuck at point in the game, don’t worry, as we have compiled a list of Circle Pool tips, tricks and cheats to help you getting a high score! If you are a veteran pool player, you might be hesitant to go all out when playing this game. Do not be afraid to use more power. Since you are not trying to lead the balls into holes, there is no need to control your strength. In fact, using more force is beneficial because it will make the cue ball ricochet around the stage even more. The more the cue ball bounces around, the higher the chances will be that it will hit the other balls. 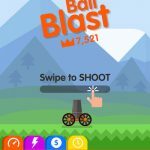 Every consecutive ball that you hit will give you even more points, so go ahead and get a little crazy with your shots. One thing you should pay attention to when playing the game is how many balls you have left. You only get a limited number of balls, and the game does not encourage you to use them all up. You get better scores when you use less balls. If it’s possible to clear a stage with a single ball, then please do so. If you made a mistake and ended up using all your balls, you will fail the stage and will have to start over. Use each ball wisely and try to clear as much of the stage as you can with each try. Nobody really likes pop up ads. What’s worse is that they can really be distracting when you are trying to focus on the more advanced levels of the game. If you want to get rid of the ads without spending real money, the only way to do so is to go offline. You can put your device in airplane mode to prevent it from accessing the advertisements. As you play the game, you will sometimes see pink cubes lying around. Make sure you grab them when you can because they will increase the size of your cue ball as well as it’s ricocheting power. These pink cubes can really help you out a lot in completing some of the later stages of the game. On top of that, the pink cubes also serve as some type of currency. Voodoo will most likely update the game soon to include a way to spend pink cubes to unlock new stuff or to get boosts. If you are familiar with other Voodoo releases, you will probably already know that they often add skins to their games in later updates. The same will most likely be true for this game. The problem is, Voodoo often locks skins behind achievements and tasks. Make sure you keep practicing your shots in anticipation for the possible tasks the game will require you to do in order to unlock skins. 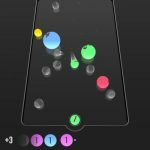 Clearing stages is not always easy, but if you rely on our Circle Pool tips and tricks, you will be exploding balls like a pro in no time!